Indian Cuisine and its essentials. Indian food is a delicious mix for the senses: tantalizing aromas, vibrant colors, and of course those spicy, sweet, tangy flavors. But for the home cook, this cuisine can be difficult. When you look at what’s needed to cook most Indian recipes, it’s easy to be put off by the long list of spices required. That’s one of the reasons why we need all spices in our dishes. But if you’re looking to cook an Indian meal on your own, you may be wondering where to start. 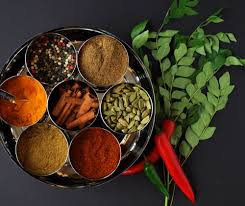 Key to successful Indian dishes is using the right spices in right amount to get the desired flavor,texture,its color,aroma and taste.In most Indian cosine Ghee(which is Indian clarified butter) is used to enhance the flavor. Really very well described. Keep it up brother.